Customize a stunning product to your business and leave a lasting impression on your recipients at the next promotional event! 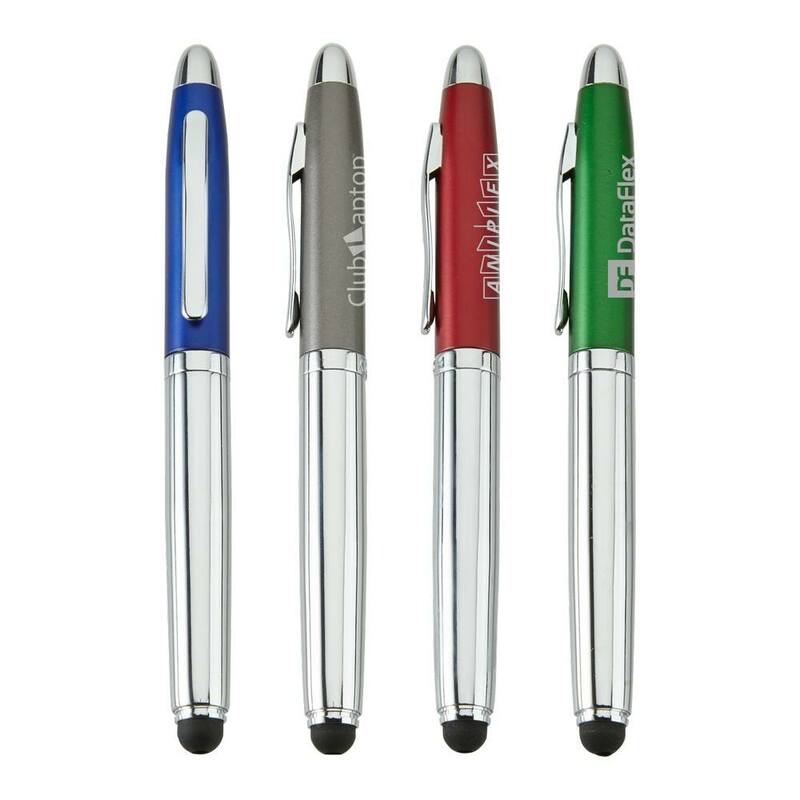 An elegantly designed accessory available in multiple color options, the Zurich Tech Pen is made of durable metal and features capacitive stylus tip. This multi-functional ballpoint pen comes with high quality glide-write ink for smooth writing without scratches on your screen. 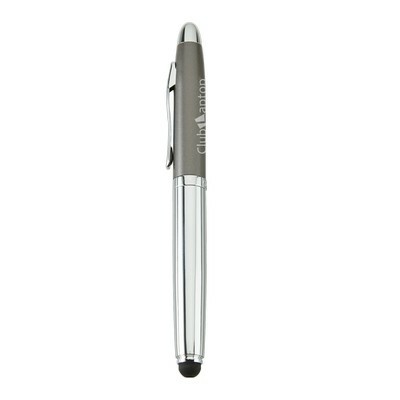 It features a flashlight hidden in the soft silicone stylus as an additional benefit. Matte metallic cap and chrome plating on clip, top of cap and barrel add stylish touch to the pen. 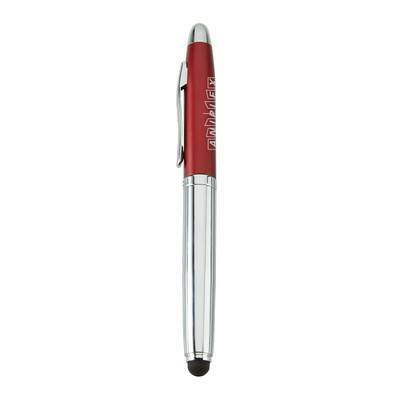 You can easily customize this pen to your brand by adding your company logo, name and marketing message for extensive brand visibility.